FlashBlue™ is a proprietary DNA stain that offers simple and rapid staining of agarose gels. FlashBlue™ is provided as a concentrated liquid stain that, when diluted, can be used for both rapid and overnight staining of DNA fragments. 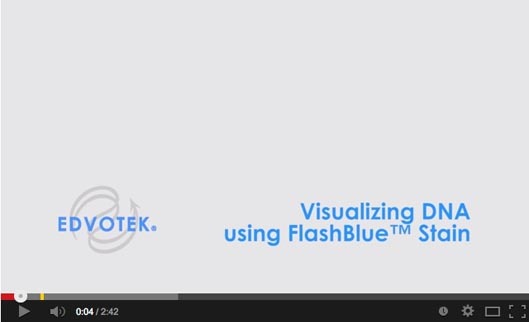 EDVOTEK BLOG – Waste Not, Want Not – A Fun Science Experiment Using Leftover FlashBlue™!